Use the rich text resources in the REFERENCE and NON-FICTION collections. Do a KEYWORD search in the catalogue for terms such as "Ancient Rome" "Ancient Greece" "Maya*" "Civilization, Ancient" etc. Ancient Civilizations (online e-book encyclopedia). Click on "Gale Virtual Reference Library" and scroll down to the Ancient Civilizations encyclopedia. 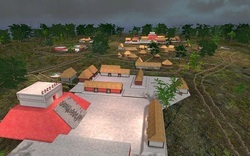 Ancient Civilizations (British Museum)--This site allows you to compare aspects of ancient civilizations. Use EASYBIB to create your "Works Cited" list.